This is a metal mains block fitted with quality sockets and high quality wiring. 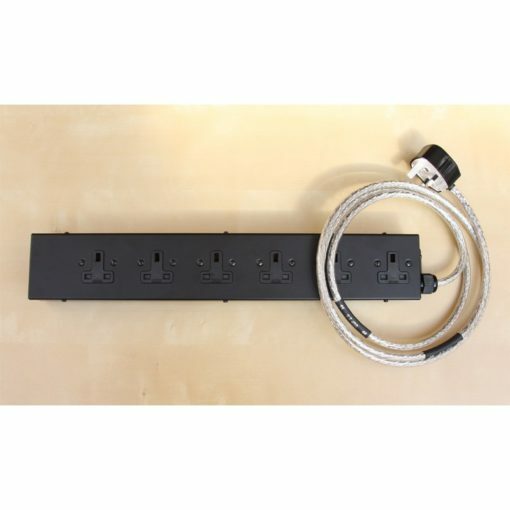 The enclosure and sockets are made in England, high quality products. Each socket has had it’s contacts cleaned and adjusted to provide a tight fit to 13 amp plugs. Internally wired with 4mm cable and star earthed. Fitted with a length of Mark Grant DSP 2.5 power cable and a silver plated MK toughplug. 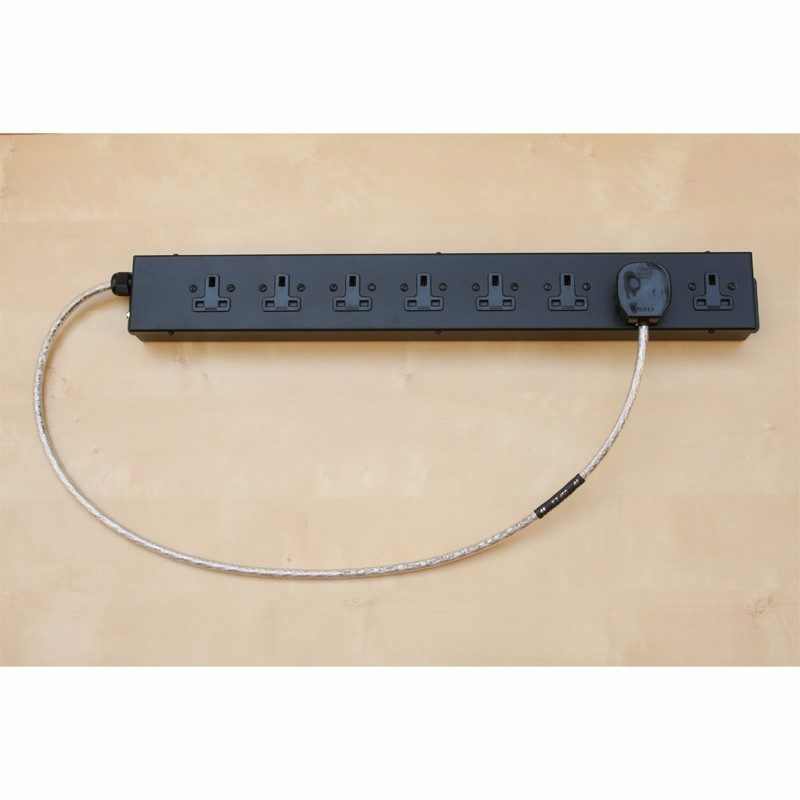 Total maximum load 13 amps. The dimensions of the 8 way block are 625mm length including mounting brackets, width 78mm and depth 45mm. 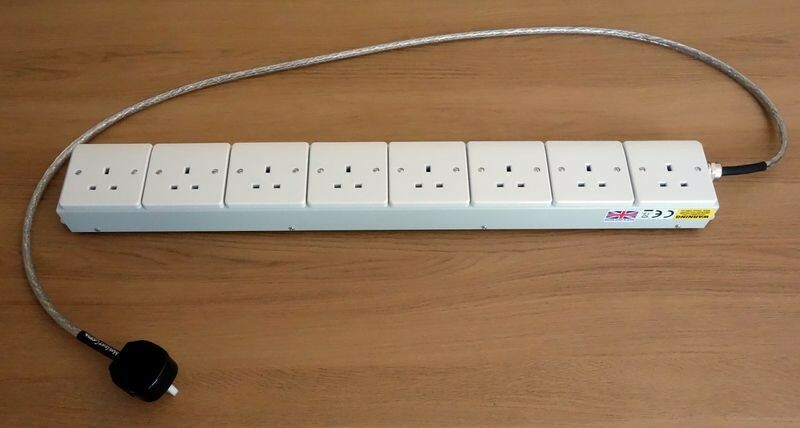 Choose the length of the cable below. These are made to order and despatch time will be 3 to 5 working days depending on the workload. 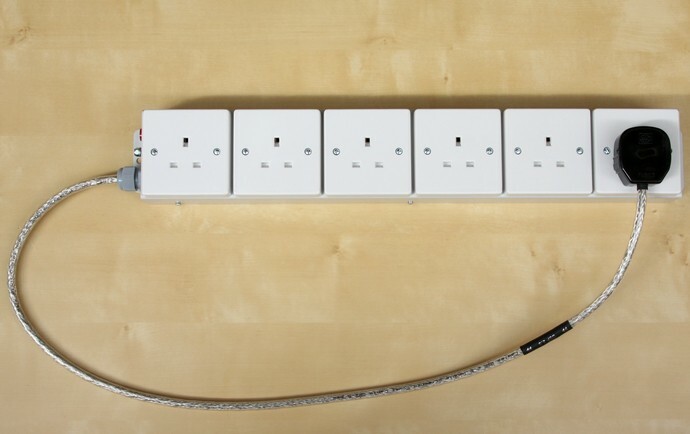 If you require a different cable length or different plug fitting please contact us.